Choice of reverse attachments. Pin attachment is molded: NOT glued. A broad selection of standard plastic and foil colors are available. 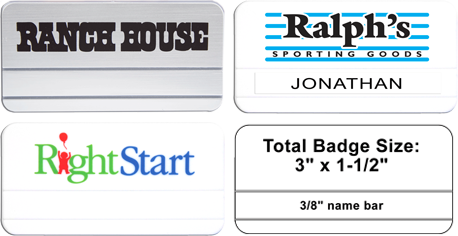 Can be personalized with a P-Touch or Dymo tape machine. Custom plastic color matches are available upon request.